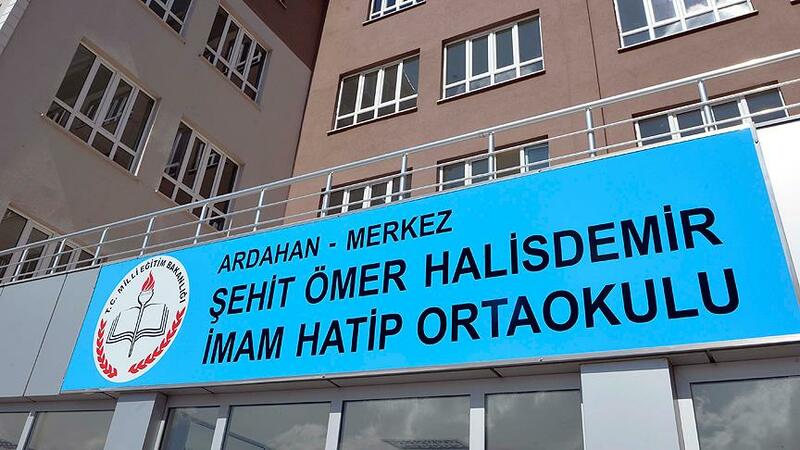 A private school affiliated with the Gülen movement in the eastern province of Ardahan has been turned into a religious vocational school, part of a group known as “imam-hatip” high schools. Nehir Primary and Secondary Schools, were renamed Şehit Ömer Halisdemir İmam Hatip Ortaokulu in honor of a civilian killed while trying to avert a coup attempt on the night of July 15, Turkish media reported on Tuesday. This is not the first time a Gülen affiliated science school has been turned into an imam-hatip. In video footage earlier released on social media, Turkish authorities are seen turning a school in Van province into a religious school. Gülenist schools in the country are best known for their success in international science olympics. The Turkish government has shut down over 1,600 private educational institutions allegedly linked to the Gülen movement as a massive crackdown on followers of the movement has been ongoing since the July 15 coup attempt. Turkish President Recep Tayyip Erdoğan has accused the Gülen movement of being behind the coup attempt and demanded the extradition of Turkish Islamic scholar Fethullah Gülen from the US. Thousands of public servants, judges, prosecutors and journalists have been detained by the Turkish police for having alleged links to the Gülen movement.